Purveyors of professional-grade make up brushes, Morphe will enable you to make up like a make up artist – with soft goat-hair bristles and a tapered tip, this firm yet flexible brush is designed to apply darker shadow to the eyelid crease – allowing you to concentrate the colour for some subtle eye-enhancement or a more dramatic impact. Perfect for creating depth and definition, Pro Firm Blending Crease Brush (M441) is an essential piece of kit for those who like experimenting with their eye-make up. Achieve the perfect Instagrammable cut crease with one of Morphe’s most popular brushes – the A-grade Pro Firm Blending Crease Brush (M441). Made from the fluffiest goat-hair bristles with a firm tapered tip, you can build and blend a beautifully natural contour crease with ease. Whether you’re a novice or sculpting queen, this is a brush to add to your collection, stat! With soft goat-hair bristles and a tapered tip, this firm but flexible brush is designed to apply darker shadow to the eyelid crease. This was an impulse buy but I'll tell you what - IT IS THE BEST BLENDING BRUSH! The soft bristles make eyeshadows blend together seemlessly. I wasn’t sure if this brush was actually worth the money but it is. Blending has never been so easy! Love this Brush, it is a must have! 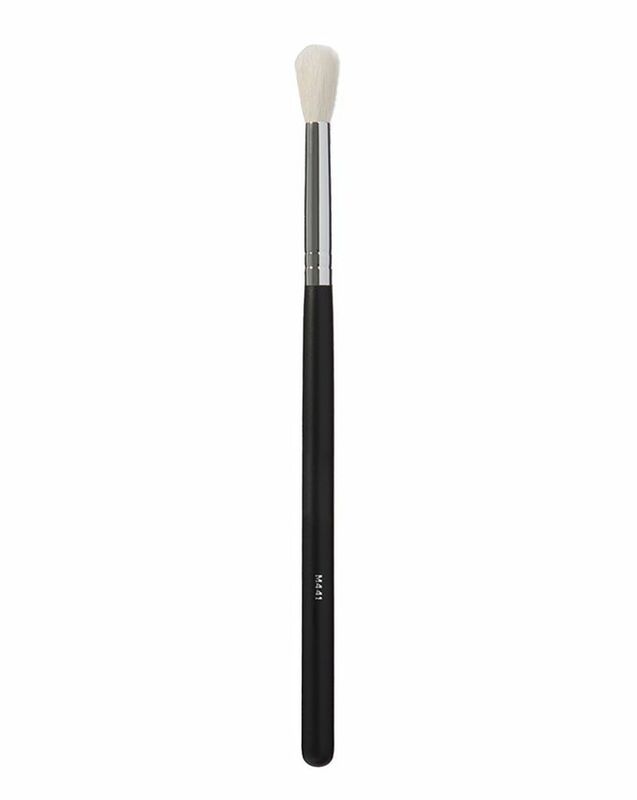 I love this brush for blending, it works so well and is excellent value for money. However, I wouldn't say this is firm brush as used in the description, the brush is quite fluffy. But still an amazing brush. LOVE LOVE LOVE LOVE. Amazing, couldn't live without this now for my transition shades! Love the quality. It has great quality bristles at a very low price. Highly recommend. The best blending/crease brush! Definitely recommend! Very nice dupe for more expansive brands, does its job nicely. This brush is the best blending brush I have ever owned! It is a perfect size to the crease and so soft. I love it so much that I have purchased another one so I have always a clean one when ever I need it.